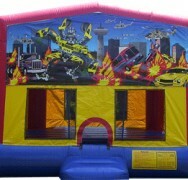 Your little robots in disguise will go crazy over the Transformers bouncer! 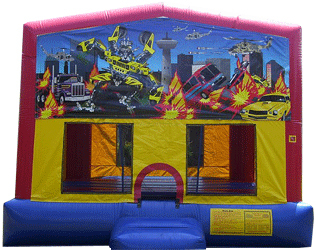 This is a must for any Transformers-themed birthday party. This bounce house has mesh windows so spectators can enjoy the fun along with the kids.